In creative water feature design, nearly every job is different and the parameters often change during construction. 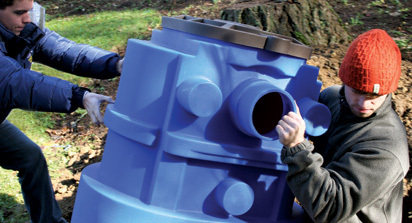 Consequently, the Filtrific® Filter Tank has been engineered to accommodate numerous piping options, modular expansion, and interchangeable fixtures to ensure the end result blends seamlessly into the landscape. Click on a product code above for more information. Integrated PortTM and Pass-ThruTM technology allows for easy and convenient installations. 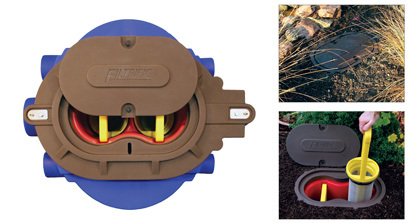 Built-in ports combine with industrial quality flex-fittings to provide the most reliable and dependable connections. 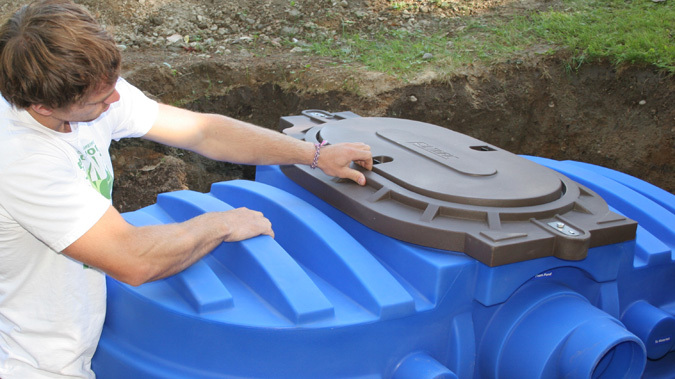 Durable Virgin LLDPE Polyethylene assures a tough and resilient tank designed for high performance in the most intense environments. 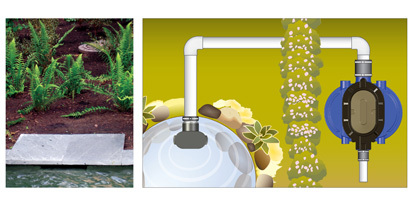 As the strongest product on the market, Filtrific® products complement every water feature installation. 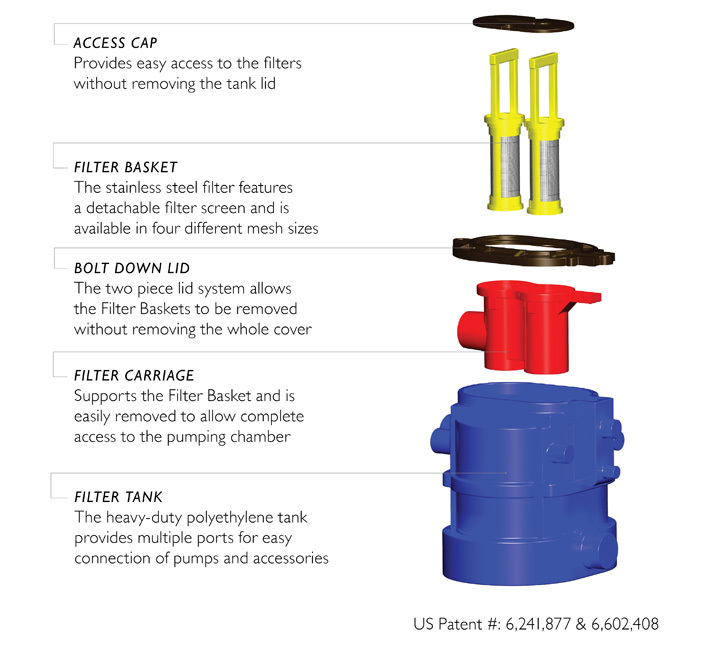 Each of Filtrific®’s three models of Filter Tanks contain the same components: the Access Cap, Filter Baskets, Bolt Down Lid, Filter Carriage, and the Filter Tank. Certain specifications vary by model, but the mechanics and engineering remain constant. 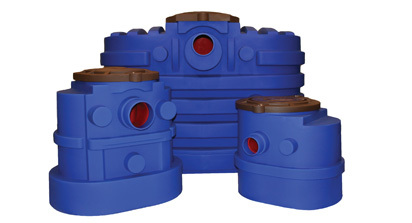 Remote placement, advanced filtering options, and the ability to house multiple pumps are just a few of the many design and installation advantages unique to the Filtrific® Filter Tank. 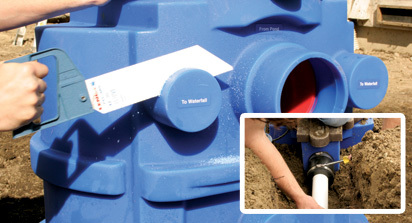 The ability to connect multiple skimming options to each Filter Tank makes for a more “universal” installation in any style of water feature. Serviceability is easy with Filtrific® Filter Tanks. Simply open the Access Cap, lift out the basket and empty the debris. Most of the lid remains below the mulch, only the access cap needs to be exposed for servicing. The Filtrific® Filter Tank is designed to be placed away from the water feature, hidden from sight, so it doesn’t spoil the waterscape.